This material, known as lean, finely textured beef or 'pink slime,' has ignited a huge meat controversy. Beef Products, Inc. the South Dakota based company suing ABC News for defamation, has asked that the case is returned to South Dakota state court and out of federal jurisdiction. BPI filed the lawsuit in September of last year, citing significant financial loss and damage to the company’s reputation as a result of continued coverage by ABC News. BPI claims the ABC News segments from March 2012 caused a backlash from which the company lost millions in sales. As a result of the media attention, and the labeling of their lean finely textured beef product as “pink slime,” the company closed three of its four production facilities. More than 750 people lost their jobs as a result of the plant closures. ABC News asked in November that the case be dismissed. FoodProductDesign.com reported “In voluminous memorandums, ABC sets forth a number of reasons why the case should be dismissed. For instance, the media giant's lawyers declare BPI cannot state a claim under South Dakota's Agricultural Food Products Disparagement Act because ABC didn't question the safety of BPI's meat product. The defamation case has not been thrown out, and action is pending. The lawsuit was filed under South Dakota’s Agriculture Disparagement law. While many in the media deem this and other similar laws unconstitutional, agribusiness has been successful in pushing the legislation. Ag disparagement and “ag gag” laws, which are designed to limit access and unauthorized media coverage in livestock and agriculture production facilities, are still being introduced to state legislatures. In 2012 legislation was pushed in 10 states, reported grist.org. Even more attempts are expected for 2013. There have been two new lawsuits filed related to the case. A former BPI employee, who lost his job due to the plant closures, is suing “ABC, ABC News, Oliver and food blogger Bettina Siegel in December for $70,000 in damages,’ reported the Associated Press. The family of a 62-year-old Minnesota man has filed a lawsuit against BPI, JBS Swift, and Tyson Fresh Meat. 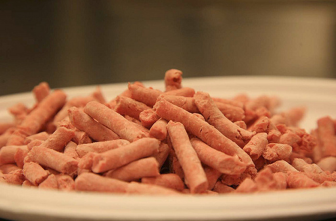 The man died from complications related to eating E.coli contaminated ground beef, reported FoodSafetyNews.com. The article went on to say that BPI claims the meat consumed by the man was not from one of their facilities. The Marler Clark law firm is representing the deceased man’s family. “Marler Clark has also been retained to defend two former U.S.D.A. employees in a defamation lawsuit filed by BPI,” reported FoodSafetyNews.com. The BPI suit against the U.S.D.A. employees is directly related to the ABC News case. “Pink Slime” the stuff hamburgers, hot dogs, and this week’s news are made of - March 9, 2012. Politicians, PR pros weigh in on BPI lawsuit - Sept. 28, 2012. ABC News wonders ‘where’s the beef’ in recent lawsuit - Oct. 5, 2012. Ag disparagement laws take root - Oct. 12, 2012.